7 Pieces of Advice for Freshme..
With the lights and the pond filled with fish and native plants, the entrance of the building seems too inviting, considering the building once housed one of the bloodiest and most environmentally degrading industries. The building is now known as The Plant, located in an abandoned meat packing facility in the Back of the Yards neighborhood. It houses 20 different businesses that work together to create a closed-loop, reduced-waste system. Ranging from a brewery to a microgreen farm, The Plant has created a small community that fosters cooperation, innovation and sustainability. The former Peer Foods Group meat packing plant is owned by Bubbly Dynamics LLC, a company dedicated to transforming waste and abandoned resources into sustainable solutions. Bubbly Dynamics LLC was founded in 2002 by John Edel, an industrial designer eager to create a better future. The Plant was founded on the mission of creating as little waste as possible. Each business, carefully picked for its unique output, helps fuel the other businesses in The Plant. The brewery, Whiner Beer Co., located on the first floor right past the entrance, for example, creates some of the most useful outputs in The Plant, according to Eleonora Edreva, the communications coordinator at The Plant. Most of all its waste products can and do get reused. Spent grain, or the waste left after the sugars, proteins and other nutrients are removed from grain, is the biggest byproduct of the business. This byproduct can be used in Closed Loop Farms, located on the lower level of The Plant. The rest of the outputs, including carbon dioxide and heat, are also used throughout the building. Photo: Jack Bexell, 14 East. 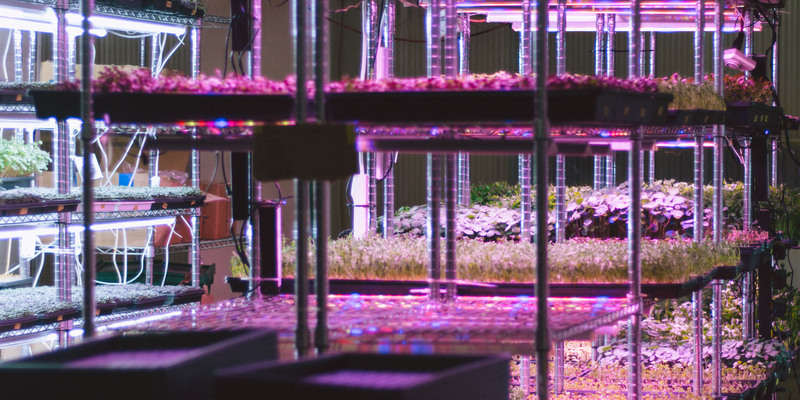 Closed Loop Farms uses vertical farming to produce microgreens, or miniature versions of larger vegetables, that are then sold to 80 restaurants around Chicago. Closed Loop Farms was started by Adam Pollack, a Chicago native. The microgreens grow out of the spent grain from the brewery. Microgreens are highly nutritious and are usually used as decoration on top of expensive dishes. They are also one of the best plants to grow inside because they have a three-week turnover time and don’t take up much space. In order to keep up with The Plant’s motto of sustainability, Closed Loop Farms put deposits on their trays before giving them to the restaurants to ensure that they get them back to reuse. Across from Closed Loop Farms is Plant Chicago. Plant Chicago is a nonprofit based out of The Plant that focuses on involving and educating the community on circular economies and sustainability. Although it is a separate entity from The Plant, it was also started by Edel in 2010. For anyone that has a 60609 zip code, all programs and classes offered through Plant Chicago are free. According to their website, over 6,000 people participated in Plant Chicago tours and workshops in 2017. “Our mission is to cultivate local circular economies. We want to move away from this linear model of we extract resources, they’re manufactured, we go to the store and buy it, then we chuck it. 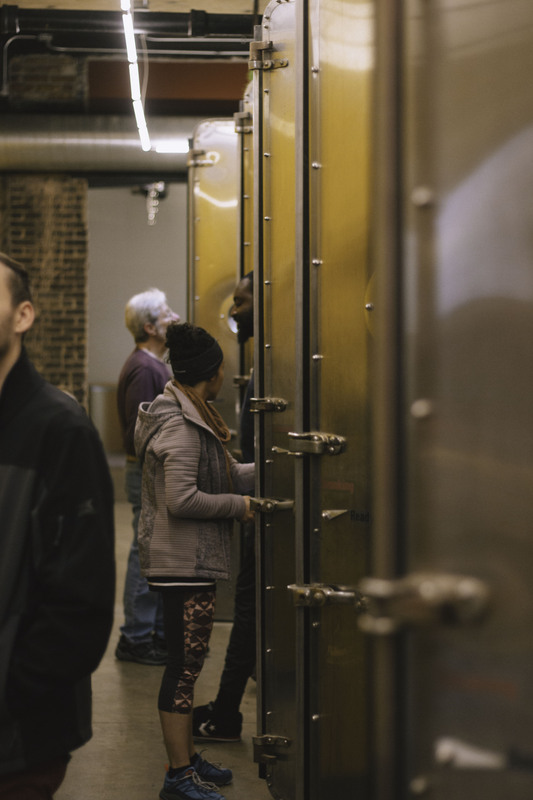 We are interested in connecting that waste portion back to the beginning,” said Stef Funk, an education associate for Plant Chicago. According to the American Society of Civil Engineers’ 2017 Infrastructure Report Card, Americans generally produce 258 million tons of municipal solid waste (MSW) annually. Municipal Solid Waste includes everyday items that are used and then thrown away. In order to combat this, 86 Municipal Waste-to-Energy operating facilities, which converts the solid waste into energy, have been built nationwide. In 2014, 13 percent of MSW was combusted into usable energy. Plant Chicago also puts on a farmers market on the first Saturday of each month from 11 a.m. to 3 p.m., according to Plant Chicago’s website. The market participates in the Double Value Link Program which essentially allows Chicagoans with Supplemental Nutrition Assistance Program (SNAP) cards to get double the food for half the price for purchases up to $25. There are over 15 vendors at the farmers market and most are local. With this, Funk hopes to continue to get the community involved in Plant Chicago in the future. Back in the Plant, there is also Four Letter Word Coffee, a small business owned by Ria Neri, a native South Sider. One of the main outputs of the business is the chaff, or outer skin of the coffee beans. The skin is high in nitrates, said Edreva, which becomes crucial for the compost used in the gardens. In keeping with the trend of cooperation and community, Four Letter Word Coffee only buys coffee beans from people they know: This includes people from Kenya, Bolivia, Brazil, Ethiopia and Colombia. “We try to buy multiple lots from the same producers, if at all possible, year after year, so we can deepen our relationships,” said Michael Peters, a production roaster at Four Letter Word Coffee. Another remarkable business within The Plant is Rumi Spice, which has appeared on Shark Tank. Rumi Spice was started by two Afghanistan war veterans after they saw that the women there were farming opium. They are now the largest employer of women in Afghanistan, according to Edreva. Rumi Spice contributes to the rest of the business community by sharing its saffron with other businesses. Now, there is a saffron gelato flavor as well as a saffron beer. In addition to the sustainable business models within the building The Plant itself is a sustainable model. Although they have done some remodeling the plant is still made up of 70 percent of the materials that were already found in the building. According to Edreva, one of the most popular areas for visitors are the former smokehouses-turned-bathrooms. 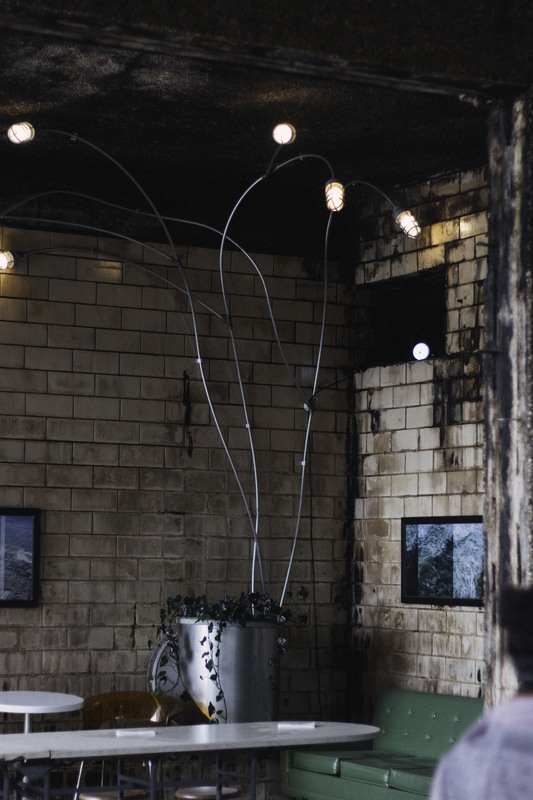 The smokehouses were installed right before Bubbly Dynamics LLC bought The Plant and instead of trying to get rid of them, it was decided that they could be used as bathrooms. In addition to this, an old 9,000-gallon brine tank from the meat-packing days is now used to collect rainwater from the roof. The water is then used to water the gardens. As for future projects, The Plant is still growing. In the back of the building, next to rows of gardens and compost piles, sits an anaerobic digester. The machine can break down food waste into solid fertilizer, liquid fertilizer or biogas. However, the anaerobic is not yet ready to run. “We are waiting for the funding for the anaerobic digester. Once we get it, it will be like the crowning jewel of The Plant. It will really push The Plant’s mission of zero waste further,” said Edreva. Once it gets going, the anaerobic digester can hold up to 32 tons of food waste. The Plant hopes that local restaurants will also want to use it. The Plant also hopes to become more research-based, according to Edreva. They are currently working on installing a “shared lab” idea that allows tenants to use the lab if they want to try new things. There will also be equipment for them to use. In addition to this, Urban Eden, who has a plot in The Plant’s yard, is experimenting with another algae company to see if it could make a good fertilizer, according to Edreva. Since its opening in 2010, The Plant continues to push the boundaries of what it means to be sustainable, continuing to set the bar higher for other business models. Through the cooperation, teamwork and imagination of the businesses involved, The Plant has been able to do something that few other cities in the United States could do. According to Circulate News, The Plant is just one of just six businesses that have successfully implemented a circular economy in the United States. Header photo by Jack Bexell, 14 East.